Individual e-sources are also available at home with EZproxy. Clicking on such a link will open the SURFconext log in screen, next fill in your Zuyd ID and password. Then you have home access to the e-source. Within one session, you also have access to all other e-resources. 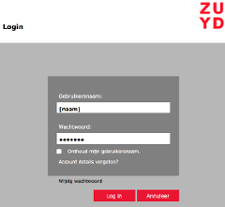 For clarity, when you are on the Zuyd campus, you don't have to use EZproxy.